Kitco Metals both buys and sells popular US Mint bullion products such as American Gold Eagle Coins, American Gold Buffalo Coins, American Platinum Eagle Coins, and American Silver Eagle Coins. Why buy United States Mint Bullion? Founded in the year 1792, the United States Mint today is one of the world’s most popular bullion mints. Today the US Mint is the largest producer and distributor of government guaranteed, investment grade silver bullion coins and gold bullion coins. The US Mint issues the world’s most purchased and well recognized bullion coins in the world. Long-term bullion owners often choose bullion coins and bars with high demand gold hallmarks or silver hallmarks guaranteed by governments. American Eagle Bullion Coins carry United States legal tender face values and a guarantee of authenticity enforced by the US government, specifically the US Secret Service. American Silver Eagle coins are the official silver bullion coin of the United States Mint. Silver Eagle bullion coins have been in production since 1986. The Silver American Eagle coin is considered by many industry experts, the best silver coin selection in the silver bullion market. Over 500,000,000 ounces of Silver American Eagle coins have been purchased by investors and coin collectors around the world. These US silver coins are the world’s most popular silver bullion coin in terms of overall sales volumes. Each 1 oz American Silver Eagle coin contains .999 fine silver and 1 troy ounce weight guaranteed. The U.S.A.’s Secret Service enforces the government’s American Silver Eagle coin guarantee. Silver US Mint bullion coins are offered in 1 oz silver coin sizes by a network of silver bullion coin dealers throughout the world. Kitco Metals is an active buyer and seller of American Silver Eagle coins. The United States Mint makes 2 official versions of gold bullion coins, one comprised of .916 or 22k gold bullion, the other in .9999 fine 24k gold bullion. American Gold Eagle coins are the official 22k gold bullion coin of the United States Mint. US Mint bullion Gold Eagle coins have been in production since 1986. The 22k Gold American Eagle coin is considered by many industry experts, the best gold bullion coin selection in the physical gold bullion market. American Gold Eagle coins are the most popular gold coin in the world in terms of overall sales volumes. Over 20,000,000 ounces of 22k Gold American Eagle coins have been purchased by investors and coin collectors around the world. American Gold Buffalo coins are the official 24k gold bullion coin of the United States Mint. US Mint bullion Gold Buffalo coins have been in production since 2006. Some bullion buyers believe the lower mintage of 24k Buffalo Gold Coins makes them scarcer and thus a better value. In terms of the bullion market’s overall price per ounce, the US Mint’s official 22k and 24k gold bullion coin prices are very similar. Some bullion buyers prefer the 22k Gold Eagle coin due to its resistance to wear and wrapping. The 22k American Gold Eagle coins are offered in 1 oz, 1/2 oz, 1/4 oz, and 1/10 oz gold content sizes. The 24k Gold Buffalo coin is more commonly sold and found in a 1 troy ounce size. The U.S. government guarantees that both American Gold Eagle coins and American Gold Buffalo coins contain the explicitly stamped gold content and troy ounce weight struck on each coin. The U.S.A.’s Secret Service enforces the government’s official gold bullion coin program defending against any potential counterfeits while aggressively prosecuting any would be counterfeiters. 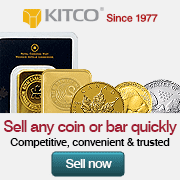 Kitco is an active seller and buyer of both 22k American Gold Eagle coins and 24k American Gold Buffalo coins. At the beginning of 1975, American citizens were once again legally permitted to own physical gold bullion bar and coins in large quantity (more than 5 troy ounces per citizen). Ten years later, the US Congress enacted various legislations that helped launch the American Gold Eagle Coin and American Silver Eagle Coin into investor portfolios around the globe. Want more information? 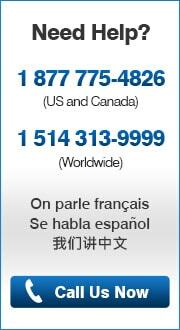 Please reach out to our first class Customer Service Representatives by email <info@kitco.com> or by calling them at 1 877 775-4826 (US and Canada) or at 1 514 313-9999 (Worldwide).